In Shri Mataji’s own words: “Global unity of mankind can be achieved through this awakening that can occur within each human being, so that transformation takes place within us. By this process a person becomes moral, united, integrated and balanced. One actually gets the experience of the feeling of the all-pervading divine power as cool breeze. “Know thyself” is the main theme of all the scriptures – it becomes evident and one reaches the absolute understanding of oneself. Through the practice of Sahaja Yoga, our awareness gains a new dimension where absolute truth can be felt tangibly – on our central nervous system. As a result of this happening, our spiritual ascent takes place effortlessly and physical, mental and emotional balance are achieved as a byproduct of this growth of our awareness. We then realize that we are not this body, mind, ego, conditionings, emotions or intellect, but something of an eternal nature which is always residing in our heart in a pure, undisturbed state – the Self or Spirit. The Spirit is the source of true knowledge, peace and joy. 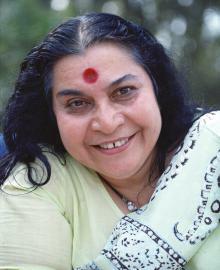 Self Realization is the actualization of this connection with our Spirit, which as Shri Mataji advocates, is the birthright of every human being.